The concept of resilience is reviewed from a range of disciplinary perspectives in this paper. Both broad and narrow definitions of resilience are highlighted and a working definition of resilience is proposed to inform research, policy and practice. Different psychological, social and ecological protective factors, particularly competence, optimism, and bonding to family and cultural beliefs are highlighted. Theoretical relationships between resilience and positive youth development are examined with an attempt to erase misunderstandings. Finally, how schools can promote resilience among students is discussed. 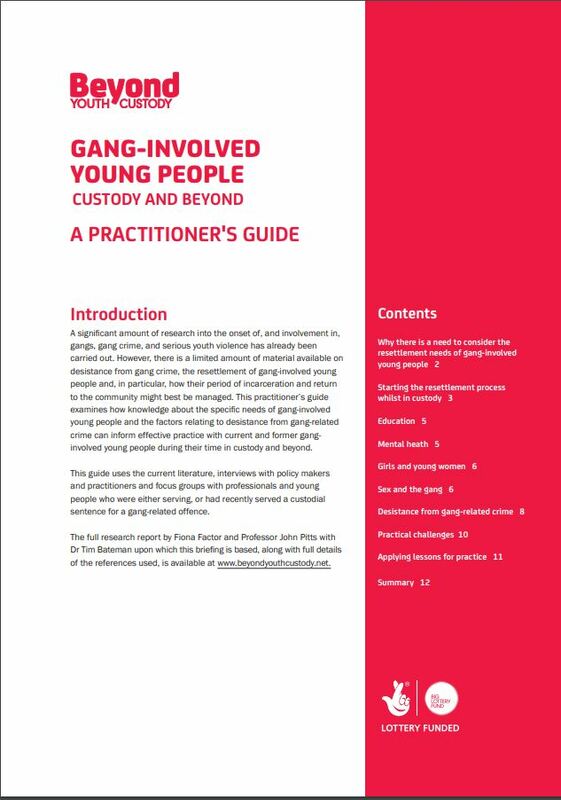 This practitioner’s guide examines how knowledge about the specific needs of gang-involved young people and the factors relating to desistance from gang-related crime can inform effective practice with current and former gang involved young people during their time in custody and beyond. This guide uses the current literature, interviews with policy makers and practitioners and focus groups with professionals and young people who were either serving, or had recently served a custodial sentence for a gang-related offence. 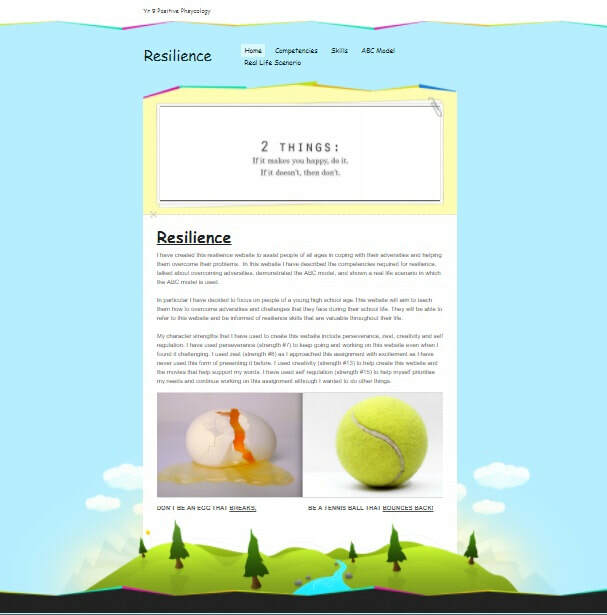 This resilience website is to assist people of all ages in coping with their adversities and helping them overcome their problems. 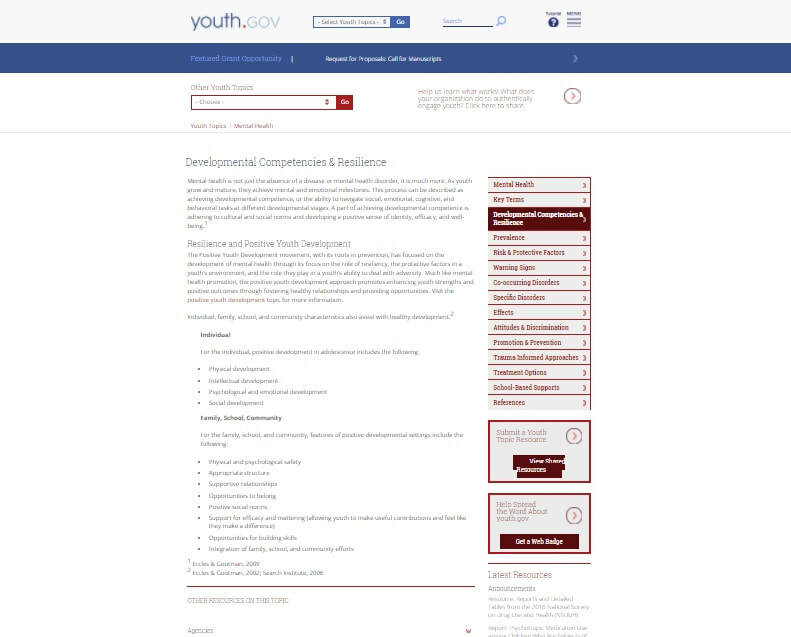 In this website it is described the competencies required for resilience, talked about overcoming adversities, demonstrated the ABC model, and shown a real life scenario in which the ABC model is used. Based on over a decade of research, Dr. Victor Rios created Project GRIT (Generating Resilience to Inspire Transformation) a human development program that works with educators to refine leadership, civic engagement and personal and academic empowerment in young people placed at-risk. Rios is a professor of sociology at the University of California, Santa Barbara. He received his Ph.D. in comparative ethnic studies from the University of California, Berkeley in 2005. His book Punished: Policing the Lives of Black and Latino Boys discusses the many ways in which young urban males of color encounter the youth control complex: a ubiquitous system of punitive social control embedded in what has come to be known as the school-to-prison pipeline. Robert Muggah drills down through shadowy data on arms trafficking, urban violence and resilience in search of answers for a rapidly urbanizing society’s most troubling questions: Why are cities so violent, and increasingly fragile? 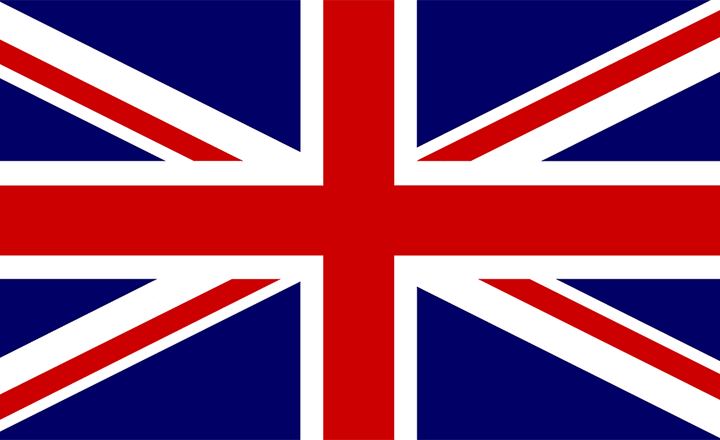 Why are conflicts within nations replacing conflicts between them? And what strategies can we implement to reduce violence? Muggah's high-tech toolkit includes new ways for citizens to collect, collate and understand data, such as the mapping arms data (MAD) tool. As the research director of the Igarapé Institute and the SecDev Foundation, he developed the tool in collaboration with the Peace Research Institute Oslo and with Google Ideas, winning accolades for the transparency it brings to the debate.